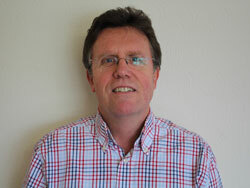 Peter is a Partner of the practice and qualified from Murdoch University in Perth, Western Australia in 1982. After working in the Kimberley region of northern W.A. for 4 years, he came to the UK in 1987 and worked in a large practice concentrating on small animals in East Molesey, Surrey. In 1991, he and his Partner John Ball acquired the Aspen Veterinary Surgery in Tolworth, Surrey where he is based. When he's off duty, he plays tennis and golf and is a keen follower of Aussie Rules football. He is married to Penny and they have three daughters. To meet our branch staff, please select a surgery from drop down menu or links.